Important things to consider for your wedding photos! After months of planning the finer details of your special day – the dress, the location, the guest list and more – your head will likely be spinning. But with so much to think about, it is important not to overlook your only opportunity to permanently capture your special day – your wedding photography. According to the Bridal Association of America, each year couples spend nearly $5.2 billion on wedding photography, but your investment could fall short if you don’t plan ahead. Without realizing it, there are 10 ways that you can take your photography from perfect to forgettable. 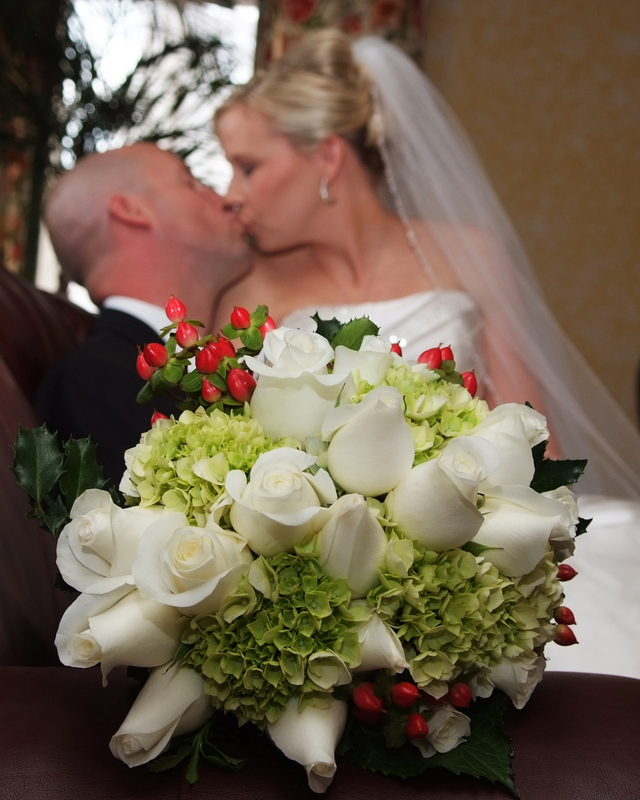 Before choosing your photographer, take time to review their Wedding Gallery Portfolio. If you don’t have someone with experience and skill, your photos will pay the price. Studios should provide album examples to review before you make your choice. If the studio does not allow you to choose your photographer, quickly move on. It is important to discuss everything in detail with your photographer prior to the wedding day – don’t be afraid to be up-front about your expectations. 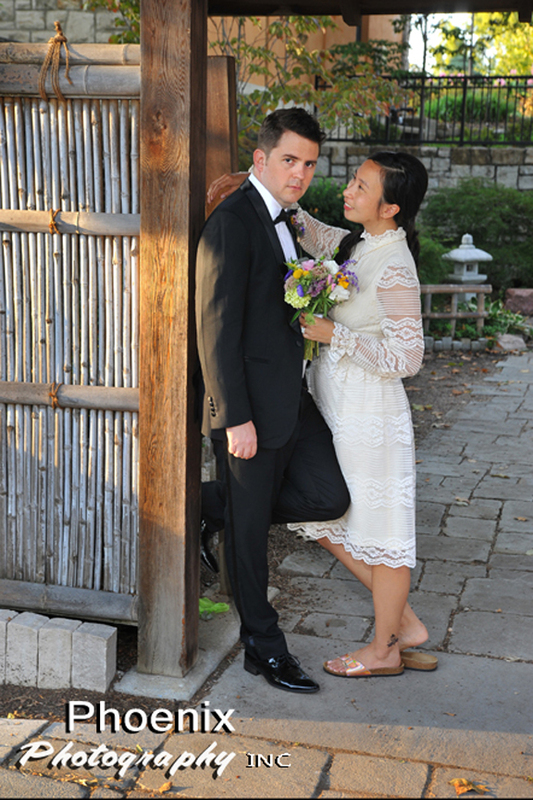 Do your check in one week prior to the wedding so all instructions are fresh in the photographer’s memory. If you have specific requests, ideas to explore, or important don’ts to cover, express them. This is especially important because churches, synagogues, mosques and chapels may have specific areas that cannot be photographed. You don’t want any unwelcome surprises! Of course it will happen – standing close together in full formal gear can turn up the body temperature. But don’t let shiny faces and (eek!) sweaty armpits take away from the special occasion. Be prepared with powder, anti-perspirant deodorant and paper towels! There are signature special moments in a wedding – the bride and groom’s first kiss, the first dance between a father and new bride, the garter ceremony and cutting of the cake. But small moments – such as the flower girl smiling from the pew, a proud moment between the mother and father, grandma on the dance floor – cannot be missed! 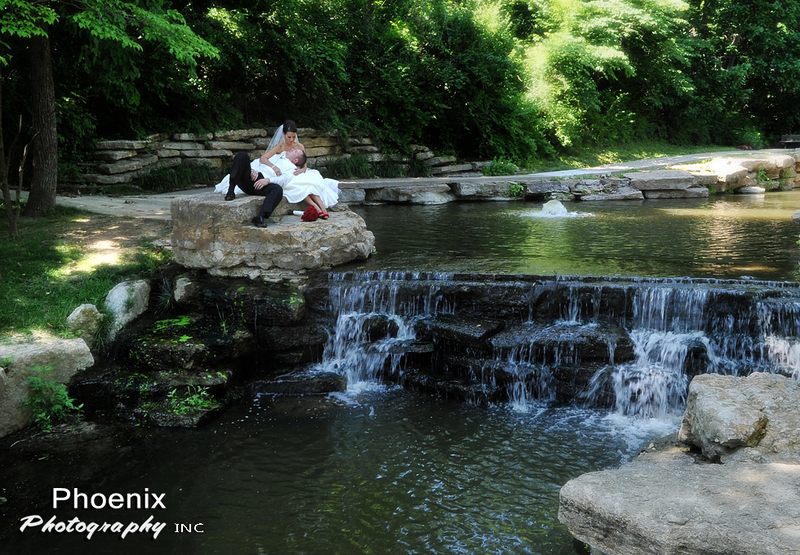 The Photographic memories of your Kansas City wedding ceremony and or reception should be something you want to treasure, so, whenever you look back on them you want to ensure that they’re the best they can be. The best way for you to accomplish that would be to ensure you preserve the wedding photographs of your wedding day in a manner that enables you to enjoy them whenever you want. Wedding photo albums might seem a little bit traditional and even old fashioned, but they are still a terrific way to protect all of the wonderful memories of your wedding. The only real disadvantage is that this may make it difficult to share your pictures with relative. Although, you can get more modern looking, printed albums that aren’t too costly, which means this may be an option for you to make it easy for others to appreciate your wedding day memories. A high standard wedding album will last a lifetime! With the vast majority of Kansas City professional photographers utilizing digital photo equipment nowadays, asking for your photographs to be supplied in this format will be a smart decision. It ensures that you’d have greater flexibility when it comes to what you can do with them. Take into account that as these photos are usually of a very good quality, their data file sizes are going to be quite large. As a result, they could be tricky to share by email. Saving them on DVDs could be a better idea if you intend to give digital versions of your wedding pictures to friends and relations. Creating a website can be a superb way to show off your wedding photos, even if it may seem a little bit complicated. With the Internet being much easier to work with, building a gallery online for your pictures really shouldn’t take much time at all. There are dozens of template based website makers which happen to be reasonably easy to use. You could even make use of blogging and site-building platforms like Blogger (which can make it unbelievably easy for couples that don’t want to be concerned about internet hosting and domain names). If perhaps developing a web site sounds a little too difficult, then think about creating a Facebook page, using a photo-sharing website like Flickr, or perhaps any of the special internet sites which provide hosting for wedding pictures. In addition to the ideas already mentioned, in this day and age there are numerous other things you could do to make the most of your pictures. For instance, there are companies which specialize in reworking your photographs into greeting cards, and also there are other sorts of businesses that could produce canvas prints from wedding images. It is possible to even get your best wedding picture printed on mugs or mobile phone cases. Trying this for your favorite photos can be quite a distinctive and interesting way to share your precious memories. 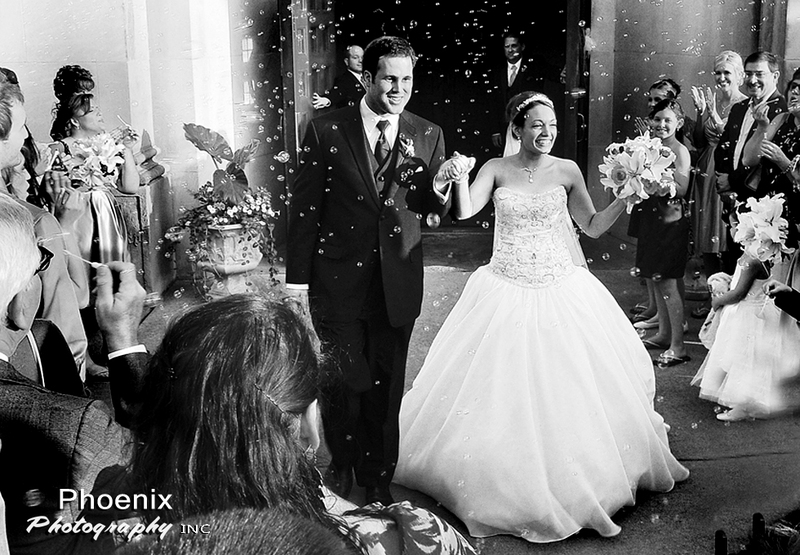 With the different things you could do to really make the best of your wedding photographs, you do not need any kind of restrictions, therefore ensure that you own all the rights to your pictures after you’ve bought them and they are supplied in the most appropriate format for whatever you plan to do with them. Virtually all professional photographers should be happy to supply photos that satisfy your requirements exactly, this means you and your partner can show off all the wonderful memories of your wedding day for many years. When you are arranging your wedding event and you are still trying to choose the very best professional wedding photographer, it is definitely worth taking a little bit of time to evaluate all your options to ensure that you find the wedding photographer that’s right for you. 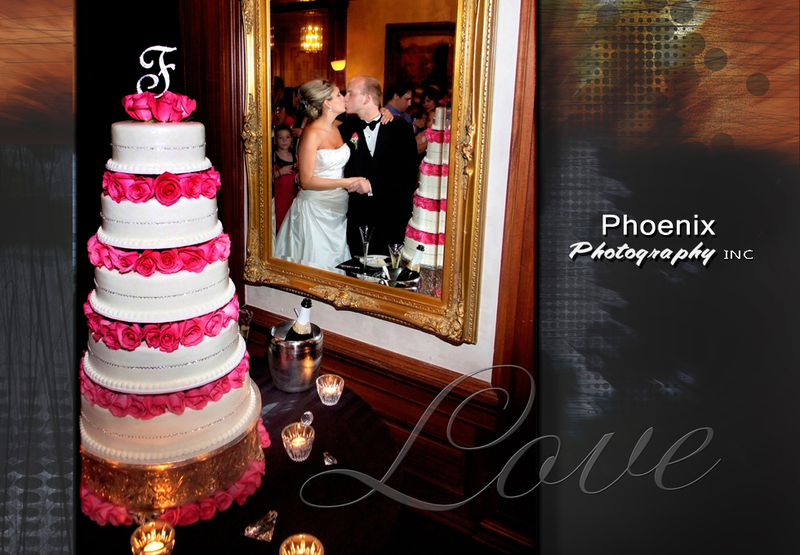 If you’re searching for a wedding photographer, visit Phoenix Photography, http://www.phoenixphotoduo.com/. Although visiting the area I grew up in for an engagement photo shoot would be cool, it was made much more fun by our wedding couple Kym and Rick. 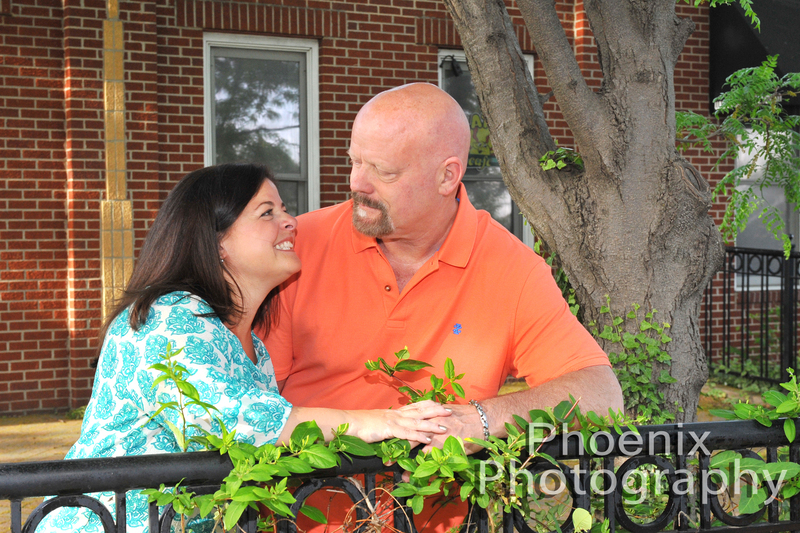 Old Downtown Overland Park was the perfect setting for them. 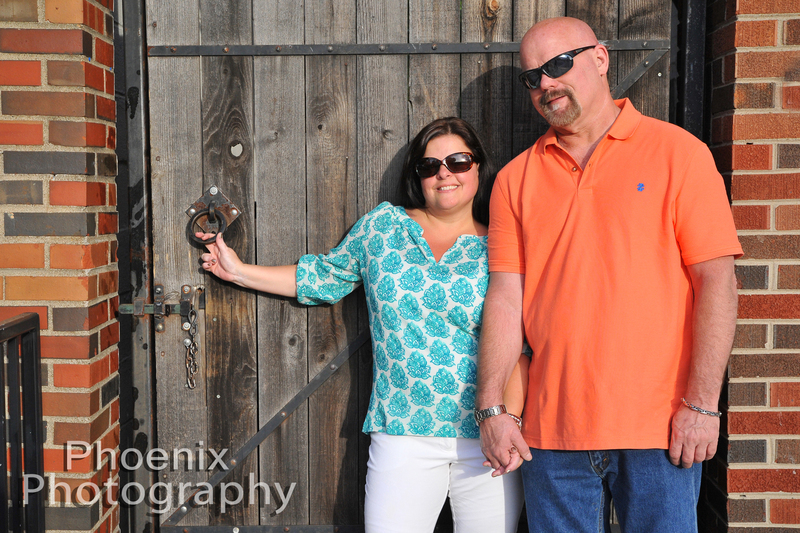 Kym and Rick selected us at Phoenix Photography for their upcoming wedding and we have had nothing but fun with them from the start. Here is a little bit of their engagement photo shoot. 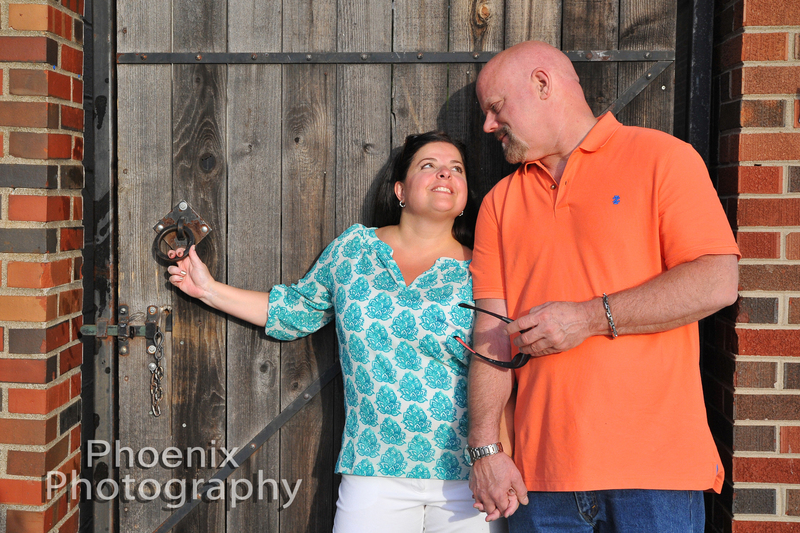 They started with smiles that would never end…so fun to work with couples like them. 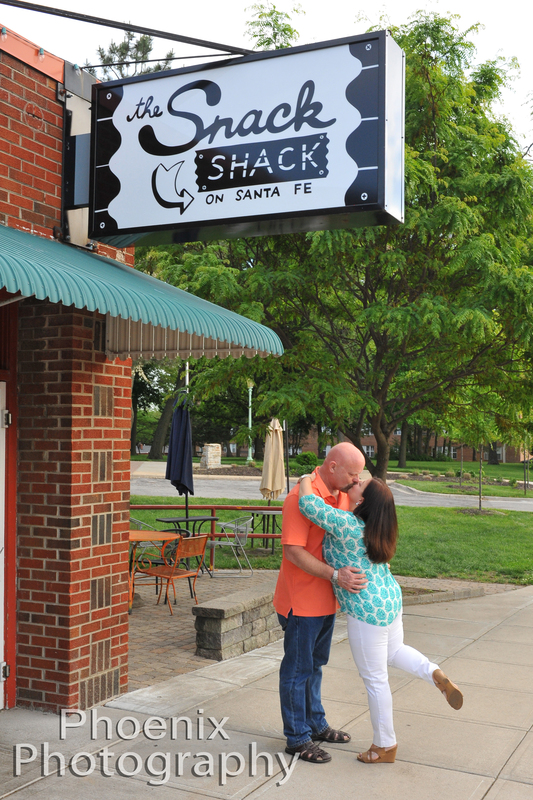 As we walked thru the Downtown Overland Park main street, Santa Fe, it seemed like every step was the perfect location. Rounding out our date at the Snack Shack with nearly 85 photos taken, I think the may have quite a time selecting a handful the want to remember the year and day by. On the way back to our cars they spotted this cool door we just had to use. Just what we wanted, another happy couple…now to their wedding day! Photography – Shoot & Save – Buy & Keep or Simply lose your images? What a buyer of professional photography should know today. Article Content: Photo lab produced photo paper Prints VS Digital files… which are better in 25 years? 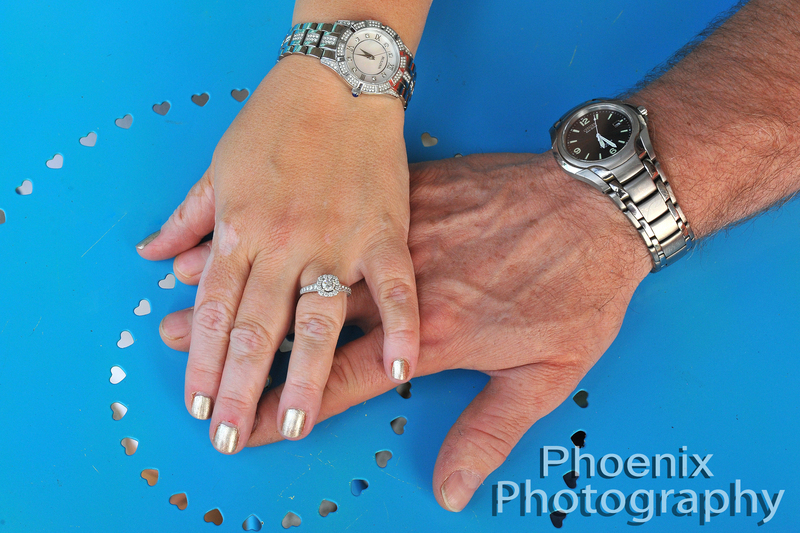 How to be sure you are not taken but “taken care of” by your professional photographer. First, “Digital Files or not” Your decision…your memories. Your Purchase to start with, Mr./Ms. Photographer, Can I get my images on a CD please? Most photographers will provide a CD of images. How many and the cost will vary all across the board. They can range from $0.00 (bad) to large sums of money (not great) because you now have the ability to print the images over and over with no additional payment to the person who took them. Is that Fair? The price you pay and the level of photography you get determines the fairness for both sides. You do get what you pay for one way or another. But figure this. One 8×10 print from a pro studio averages $38.00 retail per print. included in the print was not only the time it took to create the original image, but also includes any digital work, needed cropping, sent to lab, picked up, and given to client, or time to burn the CD and the CD $$…it all takes time…no one wants to work for free! So the photographer, after expenses will only make a portion on that one print. Up until recent years a studio profit model would include selling prints as part of their income, so with no print sales, what should the CD cost? Now the CD – all the same time above takes place except for picking up the image from the lab. You now get an ave. priced image of $38.00 in a format that you can use over and over with no additional profits going to your photographer who we hope worked to get you the best image for your personal use. (Commercial is a whole different situation.) You can now print your 8x10s, 5x7s and wallets for all your family from the cost of one print, if it is sold to you for a single unit price. The right way to sell a Digital File is to increase the average cost to cover the studio loss, but not to gouge the client. It’s not out of line to ask 3 times the cost per image for unlimited use. $38.00 x 3 = $114.00 for one image. So let’s say you want 10 images. No one will pay $1000.00 for 10 images – but you can see how it deflates the income for the studio to just hand out CDs . A CD is generally appreciated after the session fee and a minimum amount of prints have been paid for. This way both parties get what they want and need, again, all prices will vary. Accept a higher than one print fee – you may want to come back to an open business next year! Photo Lab Produced Prints on Photo Paper. A CD or DVD may only have a 5 or so year life span. The cloud could change drastically in upcoming years – and I already know someone who lost all their images to a Verizon Cloud. BEST CHOICE is a Picture Print from a professional photo lab (not ink jet) that will have an archival period of 100+ years and will always be there. Easy to take care of…You wouldn’t mistreat your DVD, so you would likely take care of a print. Q. 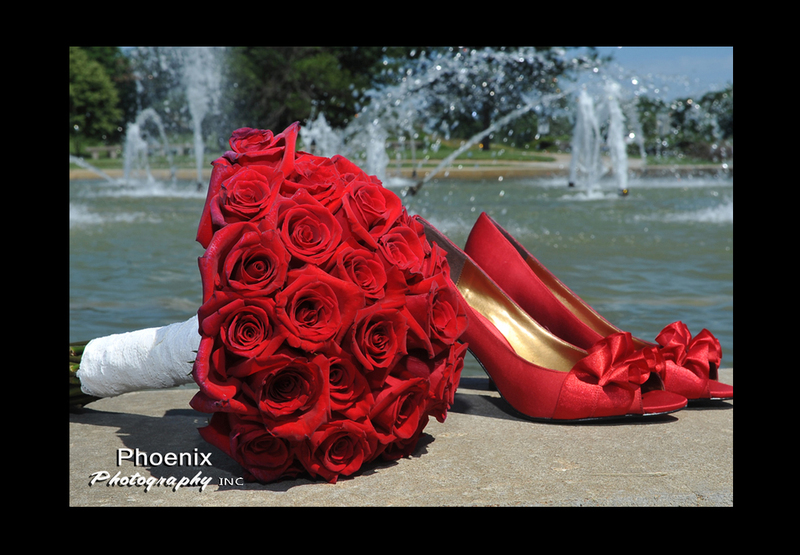 Do you need 2000 wedding photos, or would you love to enjoy a professional album or your favorite images in prints. Getting prints gives you many more options. Your favorite photos professionally framed will out last your lifetime and become a great family heirloom. Give them as gifts to family and friends too. If the event was so very important, prints to your friends is an awesome gift. MAIN POINT – they will outlast all other medians for your photos. A TRUE Professional Photographer, what should you expect? Many new photographers entering the photography market giving the farm away for a few extra bucks any day of the week hurts the professionals still trying to get it done the right way. But YOU, the buyer is still on the hook for making sure you get the product you pay for, and for the full understanding of what you paid for by understanding and following a few simple guidelines. For instance, what I call a true professional photographer is a business that is registered with the state as a business, has an occupational license, has insurance. But, to be clear, if they have all the above, it still does not make them a good photographer. So now you have to decide, do I want a good photographer or a photographer who can get the best images and give the best advice for what I am asking for…you are paying for this like any other service and product, so you should get what you pay for…or just get what you pay for…there is a difference. Get information about the above mentioned and get referrals…AND CALL THEM ALL! Let’s use a wedding for an example. How can $500.00 ever cover the cost of shooting a wedding by a professional photographer? There are too many expenses to operating a business. For example, pro equipment: a wedding photographer must have at least 2 duplicates of camera bodies, flashes, and lenses to start in case one or more fail. They must be insured and provide you with a certificate of insurance. They will have additional costs such as marketing, computers, office materials, accountant/tax prepares, and then taxes are just to start, the list can grow expeditiously from there. The cost to shoot a wedding is a combination of billable hours (time) and studio expenses (listed above). 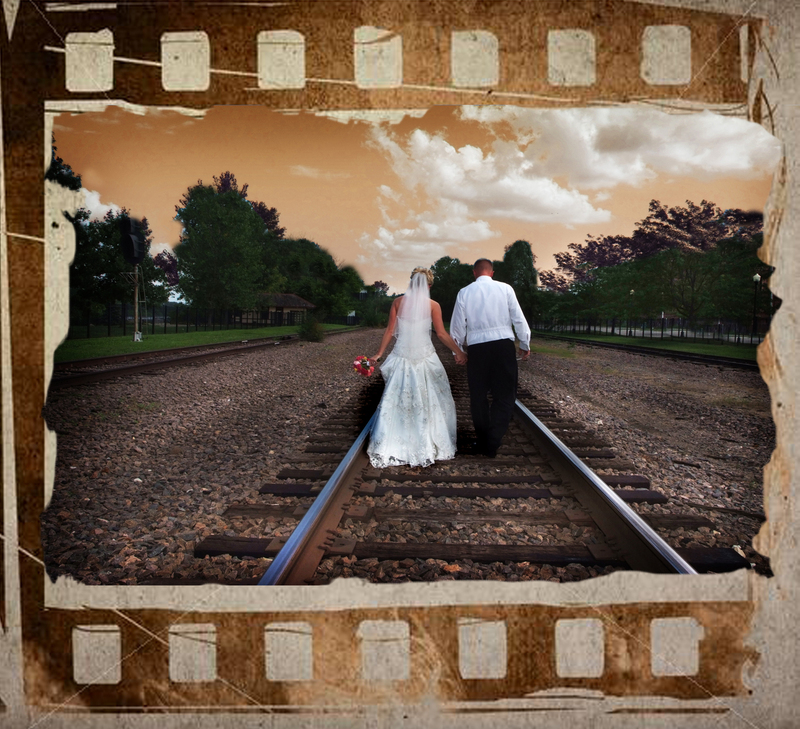 Figure a 6 hour wedding: your wedding photographer can spend “up to” 30 billable work hours from start to finish. There also has to be a cost factor for running the business factored in. For a good photographer to shoot an engagement session and wedding, as you start your journey to find the right one for your wedding, you need to consider nothing less than $2000.00 and up just for the very basic services. After the entire service for the wedding photos is complete, the photographer needs a minimum amount to live on after the cost of expenses. Expenses are different for all photographers. The better the photographer, along with the more you want, the more it should cost. A good average to start your budget should be in the area of $3500.00. This can give you some wiggle room and help keep you from falling into the hands of a photographer you may never see again after the wedding…ask your friends, it still happens, even with family shoots and seniors. Can they shoot the images correctly “in-camera” or are they expecting to shoot and fix later? There is only so much you can fix. You can’t fix blur, you may not fix amber yellow if you want true skin tones. If they expect to only shoot and fix later – RUN away very fast! All professionals should want to open the images up in a software format to make sure they only provide the best in the end, which is all you should pick from. Minor adjustments or cropping that can be done quickly is the sign of a photographer who knows what they are doing. DO NOT ALLOW your photographer to take them out of the camera and hand them to you – NO MATTER what you paid. Think of it all like this. You can get down the road in an old dumpy nearly broke down car…not wanting to be seen in it. Or you can drive a decent car and still wave to your friends. You really get what you pay for! So if you want really good photos for your special memories, follow the pointers, hire the right photographer and make sure you create professional lab prints for your true archival photography lifetime sake. Just a little early investment will go a long way you entire life!!! 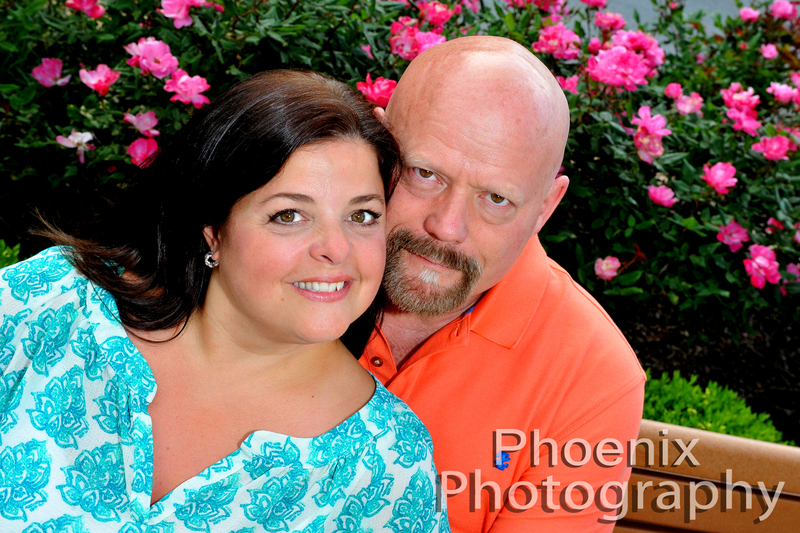 Article by: John Phoenix, Phoenix Photography Inc., Greater Kansas City, find us here: Phoenix Photography Inc. Create your perfect wedding day. Your wedding day is one of the most important days of your life and it is important that you take the time to choose your makeup artist for the day.If you don’t like your wedding make up it could mean that you also don’t like your photographs because you don’t look like you in them. A makeup artist will have ideas for your makeup along with what shows up better on camera so that it is noticed but if you don’t like it then you shouldn’t wear it. A trial is the perfect way to test your wedding makeup and to ensure that you do like it so that you don’t need to waste time on the morning of your wedding trying to perfect your makeup. You can try out a number of different styles of makeup so as to discover the right one for your wedding day. You may originally think you want one style of make up only to see it completed and not like it, a trial is the perfect time to suggest any changes and to make them. It is important that your makeup artists knows what they are doing on the morning of the wedding so that they can do it in as short a time as possible but to also produce the high quality finish and long lasting make up you desire. If you are having a themed wedding then you may already have ideas for your wedding makeup which you can relay to your makeup artist and they will do everything they can to create it for you. It is important to have a makeup trial so that you can pick and choose to create a look which you love and which suits you very well. If you don’t have a trial for your wedding makeup you will find that you are low on time to be able to change your mind as to the makeup your artist has done for you. Your wedding day is not the time to have a makeup artist turn up to do your makeup without having met them before. Most wedding makeup artists will request that a trial takes place so that you can choose your make up then, so that they can know exactly what they are doing on the morning of the wedding. Many makeup artists are also hairdressers and so you could have one person to do one of the important jobs for your wedding, making you look beautiful so that no one can take their eyes off you. They will be able to ensure that your makeup and hair complement each other and that you look perfect on the day of your wedding without needing to worry about interrupting someone else’s hard work and time. On the morning of your wedding you only have a limited amount of time and so it is important that you have everything together and that everyone knows exactly what they’re doing. Your wedding makeup artist needs to the makeup they are doing, your hairdressers needs to know the hairstyle they’re doing, your photographer needs to know the style of photos you want and any family and friends need to know what they can do to ensure that the morning runs smoothly. You are only planning to have your wedding day once and so it is important that you really love everything from the person you are marrying down to your make up, this is why so much time and care needs to be taken in preparing for your special day. You need to make it special for you! Mother of the Bride Speech – What Do I Say? Many more weddings now include a speech by the mother of the bride. What do you say in your speech that will capture the minds of your guests, make the bride smile and allow you to express your love and happiness for your daughter and her new life?Most people are at least wary of public speaking if not completely terrified and speaking at your daughters wedding in front of both friends, family and possibly strangers can be very daunting indeed. The main thing you need to deliver your speech on the day is to ensure that the speech itself is from the heart and written in your own words. You need to allow your joy and love for your daughter to radiate from your speech. Do this and any minor hiccups will be lost in the moment and you should be much more comfortable as the words will be true to you. Here is one way in which you can structure your mother of the bride speech. Start with a personal reflection of the bride and groom and your relationship with them. How that may have changed or have grown through the engagement and through to the wedding. Remember your daughter as little girl. There will surely be many good memories to pull from about you and your daughters relationship, both funny and heart-warming. What was the bride like before she met her new husband and how has she changed since. Assuming that’s for the better of course. Tell the story of how the couple met, any strange or amusing co-incidences or circumstances that led to them meeting and finally being together. You may also want to say something about marriage itself, the importance of a relationship and about the romance and beauty it can bring to any marriage. Of course give your thanks to any of the organizers or anyone else you think deserves a mention. The mother of the bride speech should end with a toast to the bride and groom. This is another point at which your words should come from your heart. Try to make the toast personal and meaningful and an opportunity to end the speech on a real memorable high note. As the mother of the bride you will already have many weeks or even months of wedding planning. You will be assisting your daughter to help make her wedding day be the one she has always dreamed about and you will probably have little time to spare. You may well like some expert assistance with your mother of the bride wedding speech . There are easily edited templates and personal assistance available by clicking on the link above. Whatever your final arrangements, I sincerely hope that this wedding is the dream that both you, as mother of the bride, and your daughter wished for.